I never said I was a chef, but I love love LOVE to cook. I try new recipes all the time and we don't have very many recipes that are in standard rotation. But when it comes to eating out at restaurants, I am nothing if not a creature of habit. At pretty much every single most of the places I go out to eat, I get the exact same thing every time. At Starbucks? An iced skinny vanilla latte (decaf when I'm preggers) and a veggie breakfast sandwich. At Panera? The frontega chicken sandwich with a side of field greens and a side of chipotle mayo. And at The Cheesecake Factory? The Louisiana Chicken Pasta. Hands down. Every Time. And I have been craving this dish with this pregnancy like woah. 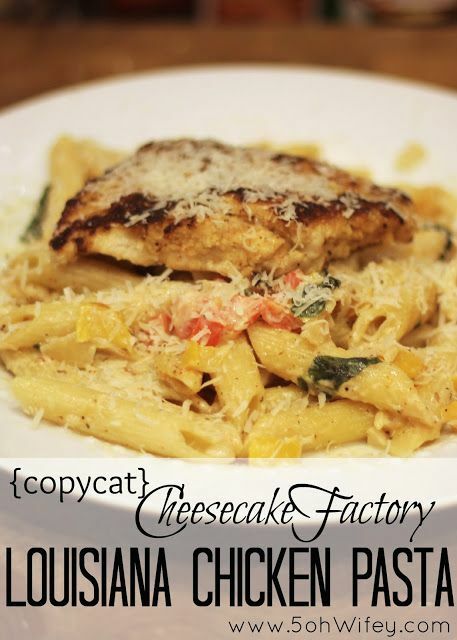 The problem is, there is no cheesecake factory where we live. Sidenote: food photography isn't as easy as it seems it would be. Props to all my food blogger friends out there who make their meals look sooooo delish. My favorite thing about this pasta is the contrast in flavors and textures. 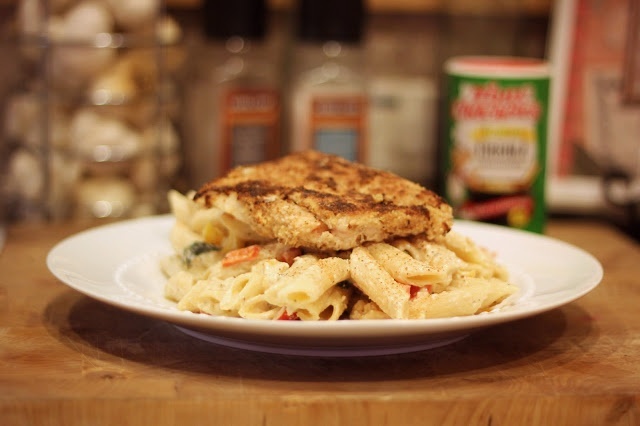 The crispy Cajun chicken breast, the creamy pasta, the sweet peppers and the tangy Cajun sauce all come together perfectly. Seriously, it's like mardi gras in your mouth. But in a good way. I'll always have a soft spot in my stomach for The Cheesecake Factory version. But y'all, I think my dish is better. And I know it's cheaper. $17 for a pasta? Ain't nobody got money for that. And guys... its super duper easy. And I promise, much prettier in person. Pound the chicken breasts into thin chicken cutlets. Season both sides with the Cajun seasoning (use as you would normally use salt and pepper.) Beat egg and water in a shallow dish. On a separate plate combine breadcrumbs and Parmesan cheese. Set aside. Heat a large saute pan to med-high. Melt the butter and olive oil. When butter melts add onion, garlic and crushed red pepper flakes. Saute for 2-3 mins. Add the chopped peppers and saute for 5 mins. Whisk in the broth and half & half and bring to a bubble. Add Cajun seasoning and reduce heat to simmer. Heat a second skillet with olive oil. Coat chicken cutlets in the egg then breadcrumb mixture then add to pan. Saute until cooked through and golden brown, about 3-4 mins on each side. Add Parmesan cheese and Basil to the sauce. Drain the pasta and combine with the sauce. Season to taste with salt and (lots of!) pepper. To serve: Plate the pasta and top with chicken cutlets. Serve topped Parmesan cheese. Enjoy! Sounds delish! I'll definitely be trying this! My hubby is the same...always orders the same thing wherever we go. Me, I try to be adventurous and usually wind up not liking my meal and wishing I'd gotten what my hubby told me to get. lol Thanks for sharing! Ah thanks for sharing! I just asked the man what I should cook for when our friends come over Saturday night. p.s. we LOVE Tony Chachere’s seasoning and just about use it on everything! OMG this is my fave dish at the CF too!! I've also tried my hand at making it but I cheat and buy store-bought Alfredo sauce, lol. YUM!!! Thank you for this. I so miss living near a CF. And I always order this without fail. It's just the best thing on their gigantic menu. 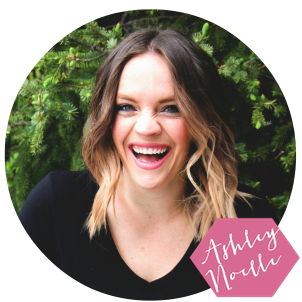 And I'm loving your new blog design! I can't wait to try this! Sounds soooo yummy! This looks A-mazing! Definitely going to have to try this one sometime :) Thanks for sharing!! I was just trying to figure out what the heck to make tonight with the limited ingredients in our kitchen (you know, until we get to payday). I'm SO making this! Chili's has a similar dish and I love it. I will be adding fresh diced tomatoes on top :) and garlic bread! This looks absolutely delicious! Thank you so much for sharing. Ashley, thank you so much for figuring this out; I'm just starting to teach myself to cook, and this is one of my favorites! Everyone I make this for loves it. I do have one question, though - my sauce is always super liquidy. Tonight I even put in about a fourth of a cup of cornstarch, and it didn't even make a difference. How would you recommend thickening it up? Thanks again!